She's Fantastic: Marvel Legends X-Men - PSYLOCKE! Marvel Legends X-Men - PSYLOCKE! In the early 90s I was in middle school and I was obsessed with The New Mutants. I had been reading and collecting back issues for years, but I knew that it was drawing to a close shortly so I began my first forays into reading Uncanny X-men. 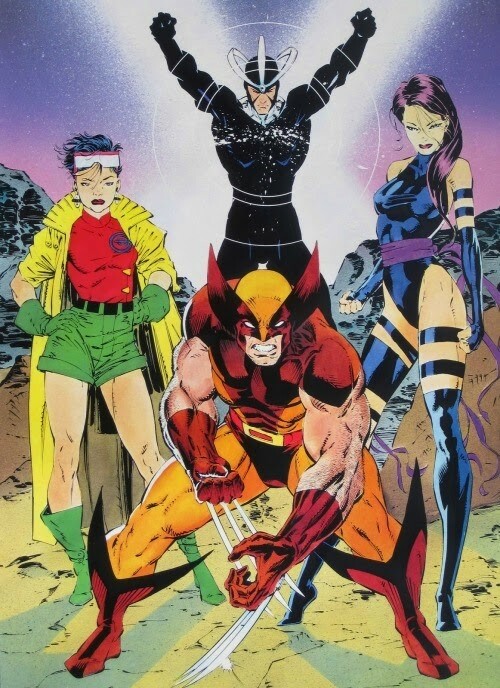 Psylocke and Rogue instantly stood out to me as fascinating characters (this was well into the Jim Lee era). Soon I read somewhere that New Mutants Annual #2 was the first appearance of Psylocke. I scrambled through my back issues only to discover strikingly different Betsy Braddock. This sent me on a journey trying to piece together Psylocke's past and various transformations, and I've been obsessed with her ever since. 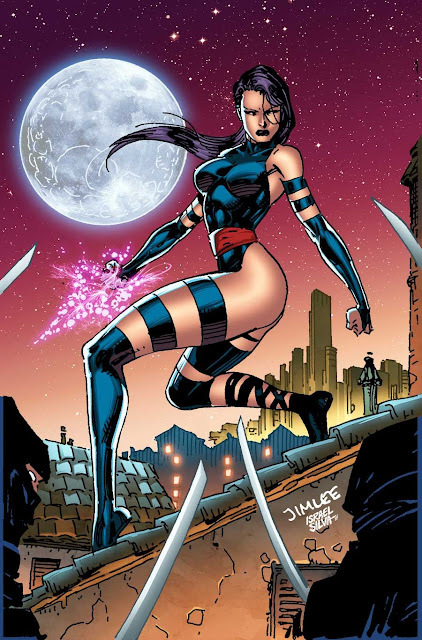 For those unaware, this version of Psylocke we know today was introduced after her mind and powers were implanted into the body of the Japanese ninja, Kwannon. Prior to this, she was the somewhat mousy British sister of Captain Britain with dyed lavender hair and telepathic powers. It's quite a dramatic change. Let's check out Psylocke below! FYI - I'm aware that Betsy first appeared way before New Mutants Annual #2 (she had been around for 10 years! 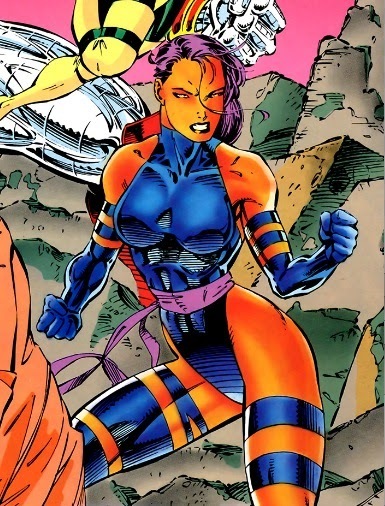 ), but that was the first time she used the name Psylocke and started mingling with the mutants (as opposed to being a secondary character in issues Captain Britain). All her trading cards and bios back in the early 90s inaccurately listed the Annual as her first appearance. This figure apparently comes with a purple-haired variant. I haven't seen it in person yet, but I'm keeping my eyes peeled because I would prefer that version (and mine here has slightly asymmetrical eyes that bug me). The only issue I have with this figure is that the paint masking around all her various straps is sloppy and uneven. I never expect stuff like this to be perfect, but I always hope it will be. Psylocke comes with a lot of great accessories. The most iconic for her ninja incarnation is her psychic dagger. But her butterfly-like psychic effects around her face were always my favorite. She also comes with her psychic katana (with wrap-around energy effects) that she started using during Exiles. Psylocke also comes with the Left Leg Build-a-Figure piece for Apocalypse. Here she is with her wave-mate, Storm.